Moving is a common practice nowadays. Few move from rented house to their own property, few shift from one rented place to another whereas few shift from their property to another property. Making a move is always for something good and this is what we think but sometimes moving leaves us with big responsibility. One amongst the biggest task after the move is selling the property. For the house owners investing on property is one amongst the biggest investment and this is a reason why it is stated that one should plan for everything before move. But, at the meantime there are few things that can happen only after move and that one thing is selling home after move. In this article, we are going to tell the most important tips that will help you to sell home fast after move. Clear and Fix: You should clear and fix the house so that, it may be available for the new ones. If you are planning to sell it then you have to keep this in mind that people would prefer well-maintained accommodation. Clean House: Both the outdoors and indoors of your house should be cleaned because this would give a good impression. An untidy house will never gain attention. Make Changes: Changes are beautiful and the same should be done to your house. If you want that you can sell it fast then you should make the necessary changes as per the trend that will let you sell it fast. De-Clutter: You should de-clutter the home because everyone would prefer a neat and tidy location to live in. To let your property sell fast, you should remove all the unnecessary items and give it a clean look. Remove Personal Items: Your personal items give emotional feels to you but the other owner would also like the same there is no guarantee, so it is better for you to remove the personal items in order to make it more attractive. Efficient Lightening: Believe it that lightening do put a lot in the looks of house and hence this would help you in settling it fast. Organize Storage Area: The storage area of your home should be organized well, to ensure that the new owner make like it. Don’t make the place crowded as it may put a bad impression. These are few of the very effective tips that will help in selling out your property immediately after move. 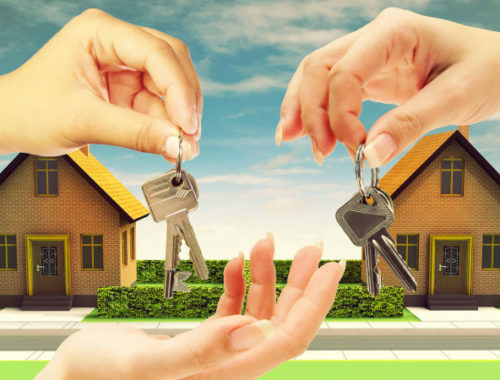 Consulting a property agent will also aid you in the concern. This article is the presentation of Shifting Solutions. It is a trusted platform where one could approach the reliable and trusted packers and movers in Pune, Bangalore, Hyderabad, Delhi, Gurgaon, Mumbai, and in all the big as well as small locations of India.